Be careful on Fridays when the Atención comes out. There is always a stampede in the Jardin to get the first copy so see what is planned for your day. 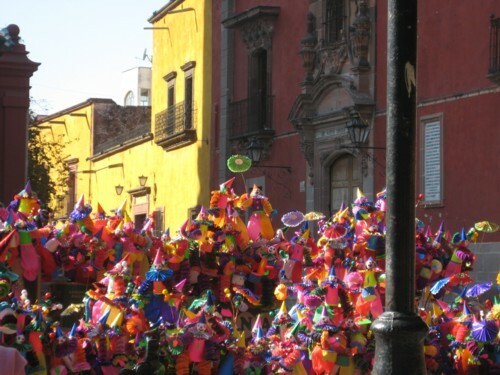 By Friday morning all activities in San Miguel have run out. It is a dangerous time in the Jardin. Below is a picture of the Clown Gang is rushing to get their copy. Some devilment will no doubt happen in the Jardin this day.